Only four central ministries and eight departments have complied with a cabinet secretariat transparency directive to proactively publish monthly summary of their work, a CHRI study has found. “Prison reforms have been the subject matter of discussion and decisions rendered by this Court from time to time …Unfortunately, it seems that the views of this Court over the 50 years (since Prabhakar Pandurang Sangzgiri in 1966) have continuously fallen on deaf ears and the situation does not seem to be changing even now. 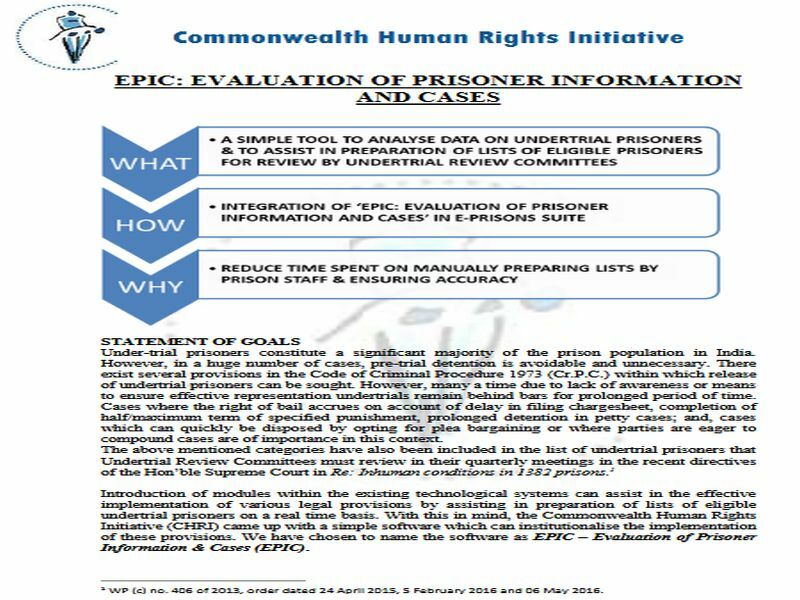 Under-trial prisoners constitute a significant majority of the prison population in India.However, in a huge number of cases, pre-trial detention is avoidable and unnecessary. There exist several provisions in the Code of Criminal Procedure 1973 (Cr.P.C.) within which release of undertrial prisoners can be sought. 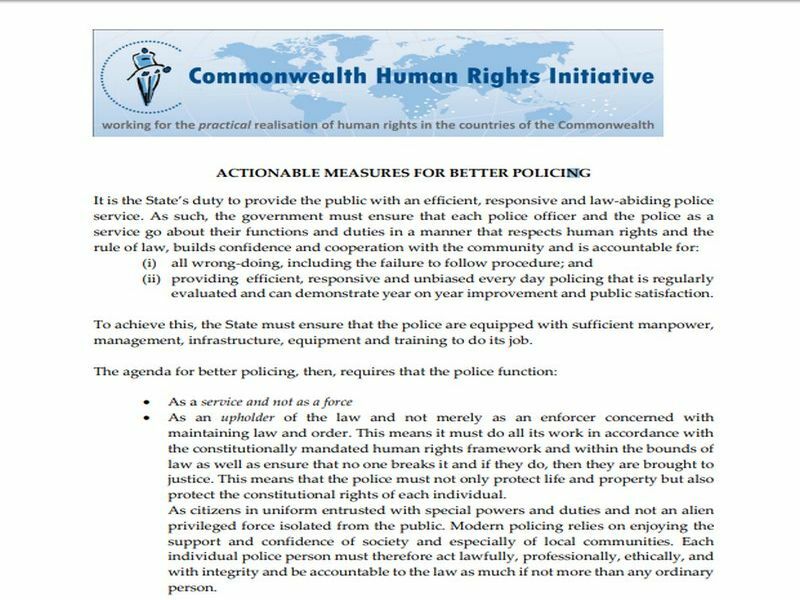 The Commonwealth Human Rights Initiative (CHRI) today released an updated handbook on human rights advocacy in the Commonwealth. Our last edition was published in 2005. We work slowly but surely… That said, this recent handbook comes at a time when civil society is fast diminishing across the globe. The situation in the Maldives continues to worsen. But the Commonwealth Ministerial Action Group (CMAG), the watchdog appointed by the Commonwealth to guard democratic values in member states, continues to bark but not bite. CHRI responds to the latest review of the Maldives by CMAG. Today, September 28, is International Right to Know Day. And, no, it’s not a holiday. We are glad to report that the fight to effect right to information laws in the Commonwealth has seen marked success this year. In 2016, Sri Lanka and Kenya enacted information access laws. So far 22 of the 53 Commonwealth member states have passed national level laws. 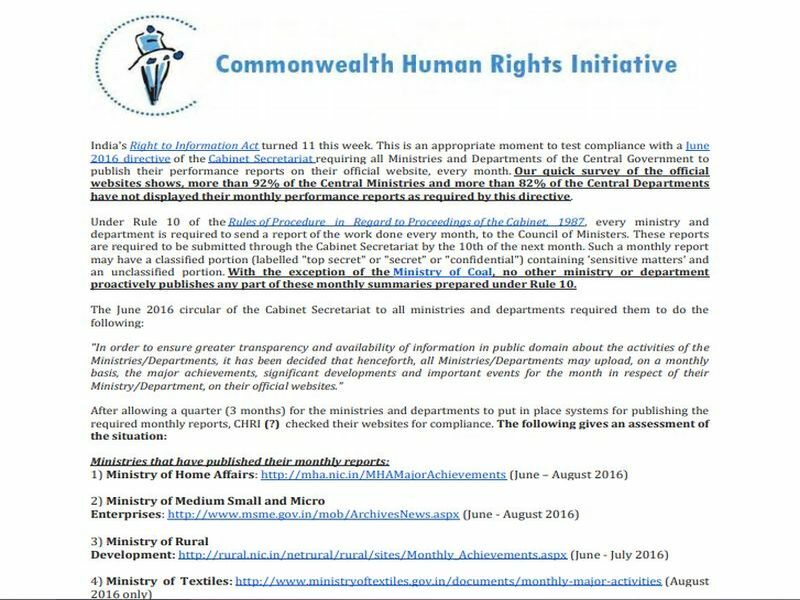 This submission from the Commonwealth Human Rights Initiative (CHRI) draws attention to serious failures of the Maldives government to make progress on priority areas identified by the Commonwealth Ministerial Action Group (CMAG) in February 2016. 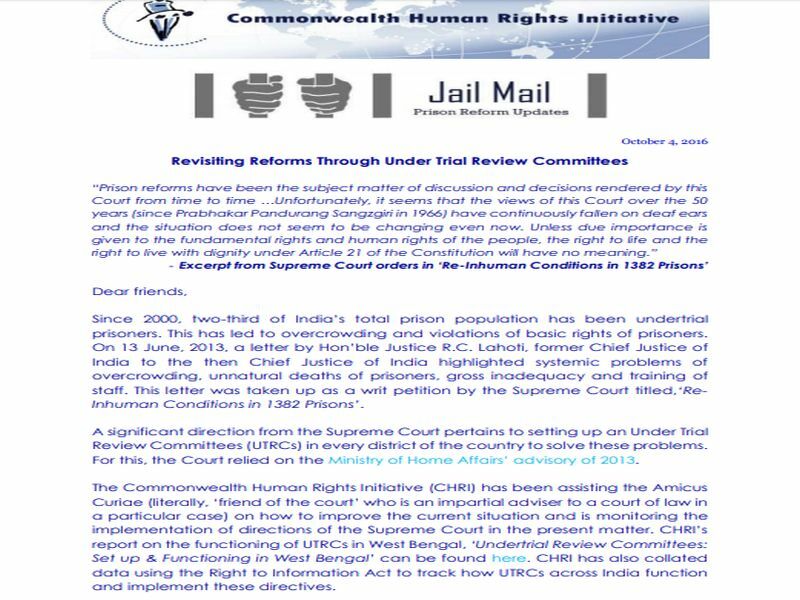 This digest of Right to Information (RTI) related news stories across South Asia is a Commonwealth Human Rights Initiative (CHRI) effort to present a monthly compilation of online media coverage on use of public information in the region. The Hon'ble Speaker of the Parliament of Sri Lanka certified their RTI Bill as having been "duly passed by Parliament". With this certification, the RTI Bill has become law in Sri Lanka.